It is such a great initiative – both locals and tourists started noticing it, especially on the weekends! Great idea, one of many creative uses of public spaces in the future I hope.. Chalk Street Art – I’d love to see it happening soon too. Yes, chalk art would be good… lots of it Europe! 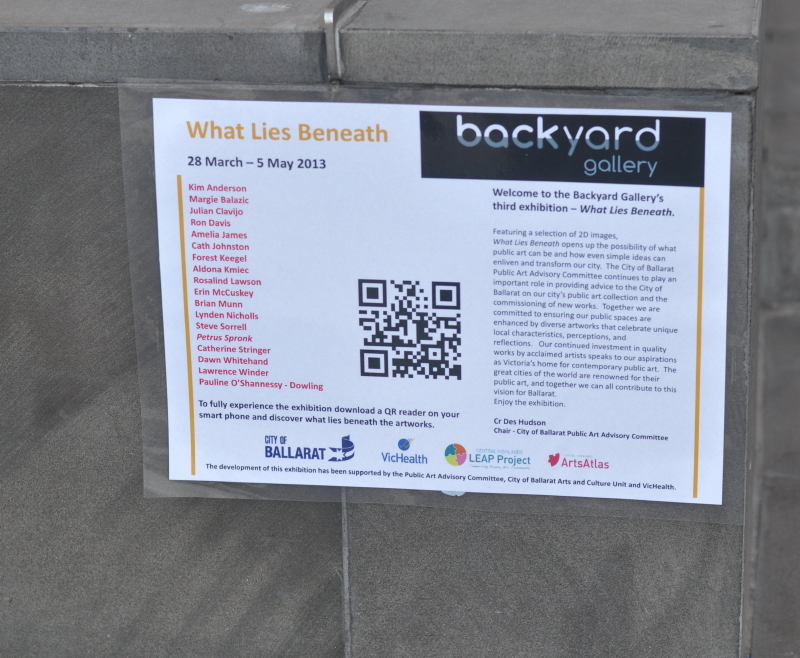 I think the “what Lies Beneath” exhibition is fantastic. Innovative and here in Ballarat. I agree with Dawn that Ballarat is buzzing artistically. I like your artwork on the commercial product – “Earth Wrap” ( guess I learn something new everyday). PS: but, would like to see it close-up to get a better view.